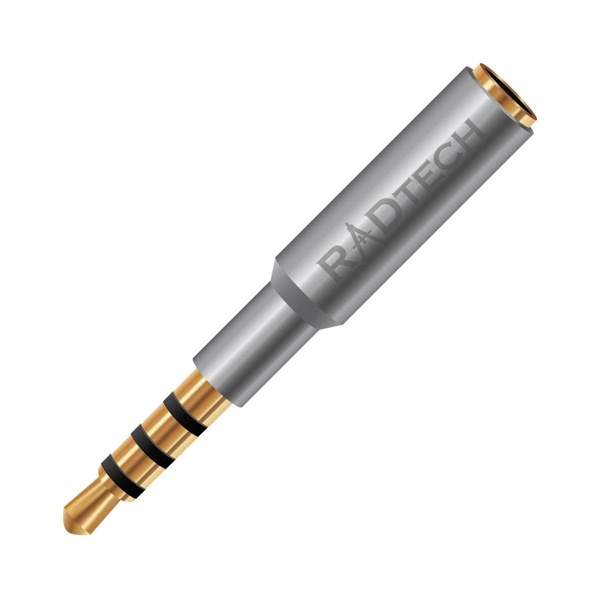 Description: Slim, compact and short modular audio extender provides easy access to 3.5mm ports that have been obscured by a protective case. Works with all protective and battery cases including Lifeproof, Mophie and OtterBox. Easily connect all of your headsets or audio peripherals without having to remove the case. 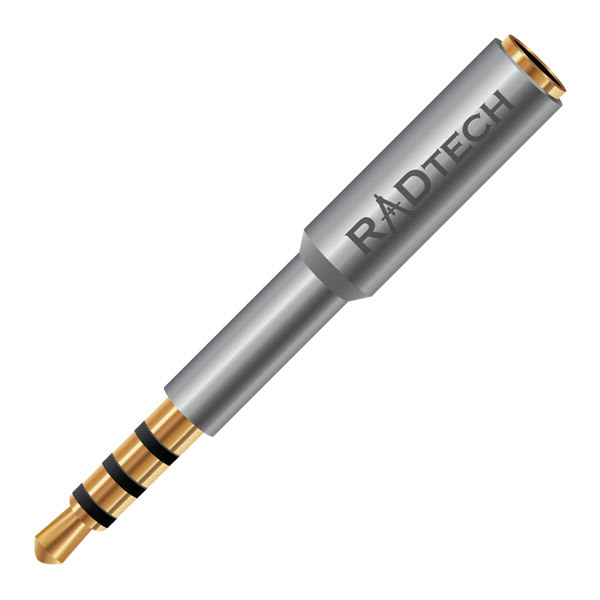 Fully shielded, all-metal construction with Gold-plated contacts for extraordinary performance and long service life. 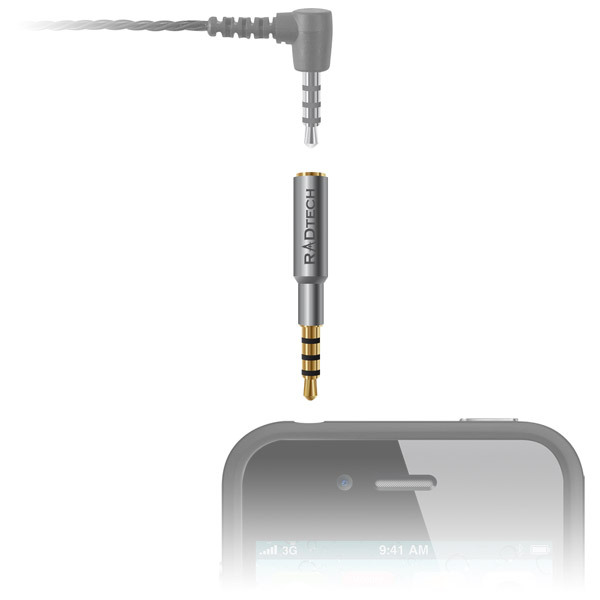 Works with 3 and 4-conductor cables and accessories - fully supports microphone and audio controls. Perfect solution for using Square and other credit card readers with protective or battery cases. The STD model is designed to work with most of the cases on the market. We created the XL model to accommodate battery cases like those manufactured by Mophie. 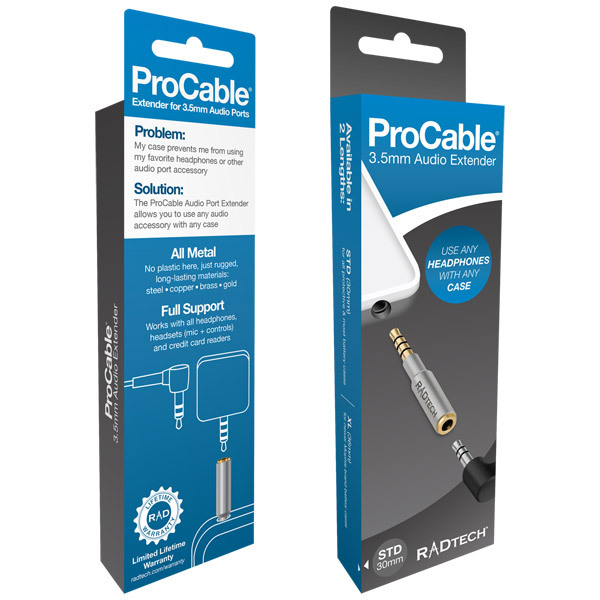 Standard 3.5mm audio jacks are 3-conductor which work great for stereo audio. 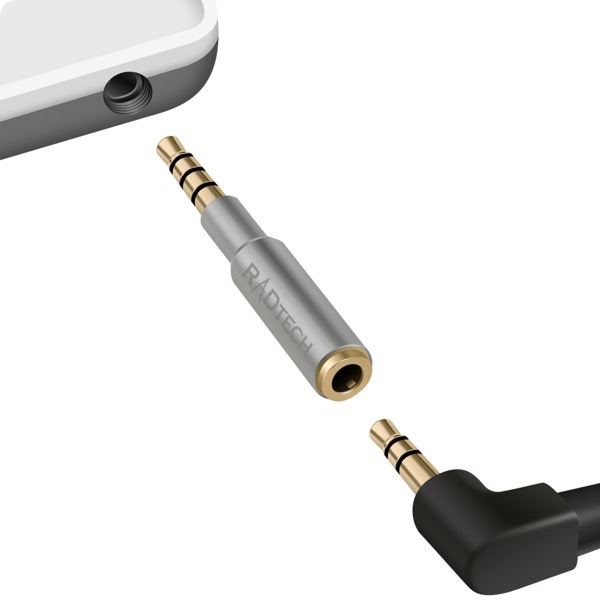 In order to work with headsets featuring microphones, 4-conductor jacks were created which are backwards compatible with 3-conductor jacks. This extra conductor also allows for accessory use like play/pause/volume controls and credit card readers. Will this work with my headset microphone and controls? 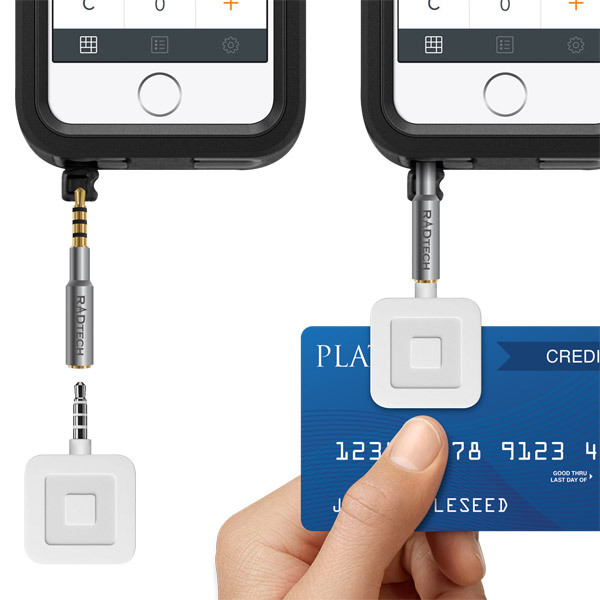 Will this work with credit card readers like Square and PayPal? Will audio quality be affected?